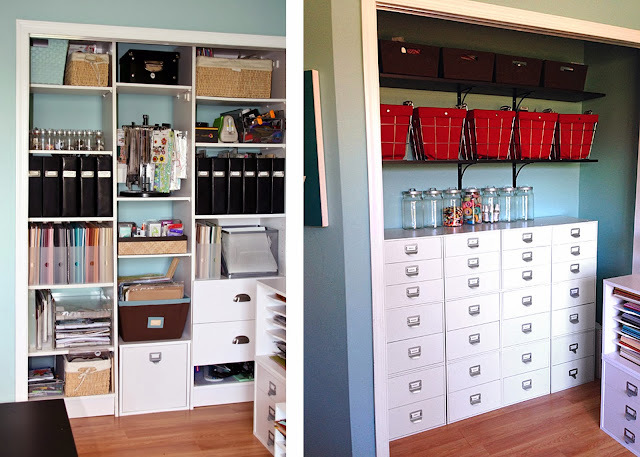 I've been on an organizing kick this fall. Cleaning out all of closets including the one in my scrapbook room. This closet was a nightmare. It was packed with things that I don't use anymore and the shelves were falling apart. I wanted to move to a cleaner, closed storage look. What was supposed to be a simple project, took me a few weeks to finish. There was major purging done! I have a post on the 2Peas blog with more details and photos. I am such a fan of your work. It's always so fresh and inventive. Congrats Elizabeth! I'll be in touch on how to get your wood veneer prize. Thanks so much to everyone for commenting and hopping. Welcome to the Lily Bee Urban Autumn blog hop! I was searching for a Fall line that was colorful and bold and not to themed. I wanted a line that I could use with pumpkin patch, fall leaves and then use the left overs for some of my non-themed scrapbooking. I totally found it in Urban Autumn by Amy Heller. 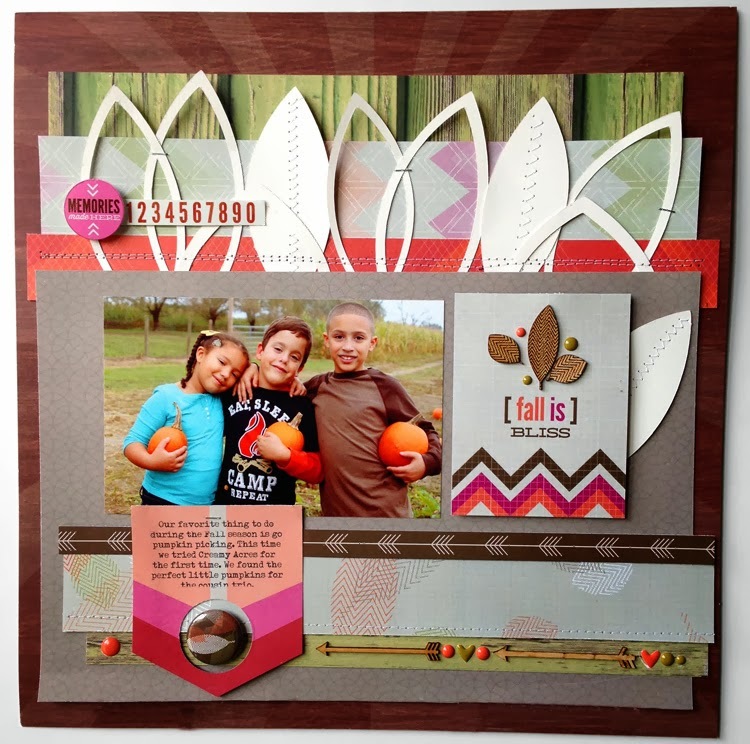 I started the layout on the woodgrain sunburst patterned paper and layered the pretty green wood, chevron and bold orange colors up at the top. I followed it up with a row of the Urban Autumn leaf cuts and some machine sewing. I used two of the 3x4 cards to add a title and journaling spot. 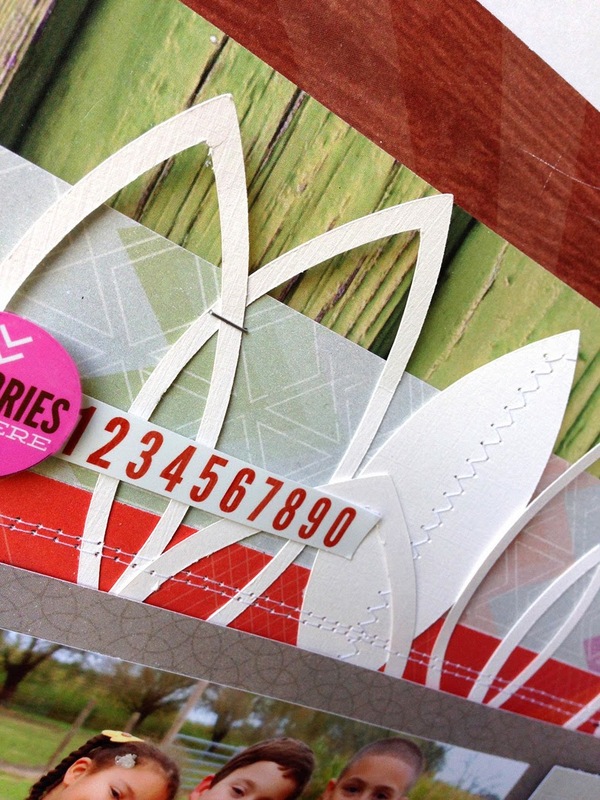 The wood arrows and some enamel dot border finish out the layout. My favorite embellishment from this line is the wood veneer pack. I love all the shapes and details. 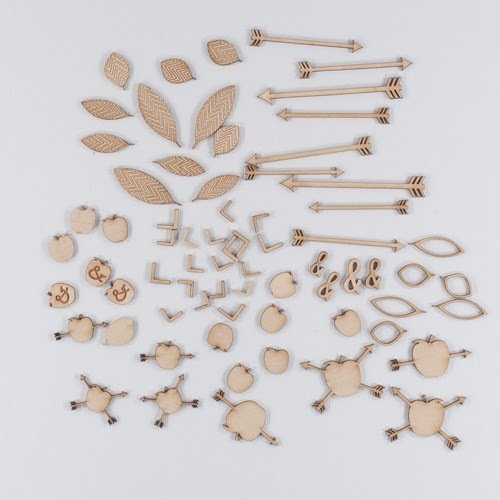 I have one pack of the wood veneer embellishments to give away today on the hop! Just leave me a comment and I will choose a winner on Thursday, November 14 at midnight. Winner will be announced on 11/15/13. 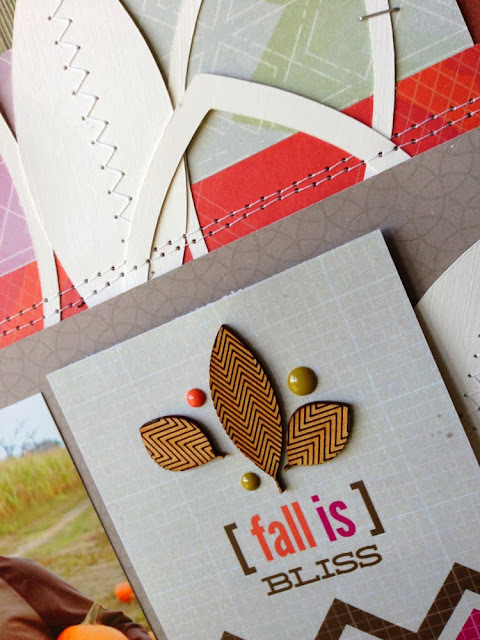 Now stop on by these blogs for more Urban Autumn inspiration and giveaways!